The Fast Lane Group ranks amongst the world’s leading independent Cisco training providers, and is the only worldwide learning partner for NetApp. An experienced Cisco Learning Solutions Partner of long standing, Fast Lane is represented worldwide with subsidiaries in all regions. 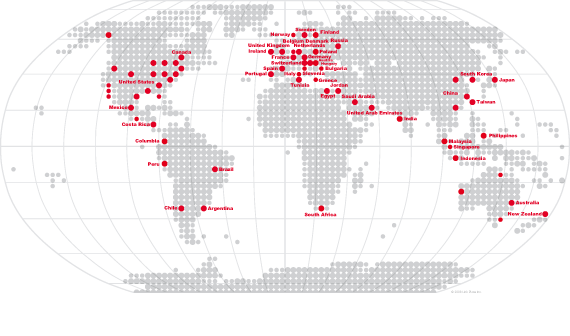 The firm’s head offices are in Berlin, Cary (NC), Sydney and Tokyo. Fast Lane has earned a reputation as a first-call company for sophisticated networking projects, entailing both consultation and qualification programs. Alongside Fast Lane developed training courses, the Cisco curriculum encompasses Cisco Routing & Switching, Design and Service Provider courses. Special training in the areas of Cisco Unified Communications, Security, Wireless and Data Center completes the Cisco course offering. In addition to authorised Cisco and NetApp training, Fast Lane also offers courses from other major organisations such as Brocade, Check Point, Citrix, CompTIA, Foundry Networks, Hewlett-Packard, Lotus, LPI, Microsoft, Novell, Oracle, Red Hat, RSA Security, SAP, Sun Microsystems und Trend Micro and ITIL. Fast Lane’s vendor-independent consulting services can help with a wide range of issues from conducting preliminary analyses and assessments, to designing future-focused networking solutions . We have a great deal of experience in managing and implementing technology projects for partners and directly for customers. Combining the core services of training and consulting, Fast Lane also conducts on-the-job training and is able to assist customer specialists on site. Fast Lane offers a training and demo lab environment, unrivalled worldwide, to cover every of aspect of high-end networking. Featuring state-of-the-art devices and technologies, the labs and accompanying first-class service, raise the bar for training quality. In addition, these labs are accessible to consultants anywhere, enabling customers to experience and live-test the latest technologies.